The Power Station Unit steam boiler was supplied in 1995. In the period of 2008–2013, a number of forced outages were documented at the reheat pendant assemblies. 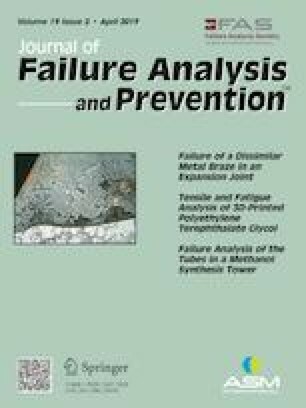 Based on laboratory analysis, it has been concluded that all investigated tubes failed due to propagation of fatigue cracks along the high crown seal welds, caused by sway movement fluctuations of assemblies while combustion gas flows. The main factor in the formation of fatigue cracks was the poor quality of the crown seal welds, and the main reason for the development of fatigue cracks in the tube wall was the rigid and non-flexible fixing of the tubes in the crown seal boxes. It has been assumed that fatigue cracks currently exist in many reheater tubes. In an attempt to locate leaks in the reheater tubes, leak tests were conducted with acoustic equipment, and validation tests were conducted using soap bubbles and a borescope. Using this method, a high number of leaks were revealed during the long planned outage in April–December 2016. The most surprising fact was that in every one of approximately ten tests there were revealed a few new additional leaks. It was necessary to carry out brief failure analysis due to the outage, to understand the causes of failure, to avoid similar failures and to return the unit to operation.